Upon the death of Thich Huyen-Vi in February 2005, Master was appointed head of the World Linh-Son Buddhist Association. In this connection Venerable Kwang Ching wrote, “Actually, way back in 1985, during our first trip to France, Thich Huyen-Vi wanted Master to assume the leadership of the Association. Master didn’t accept, but Thich Huyen-Vi maintained his original intention for some 20 years until he finally accepted.”6 Master Thich Huyen-Vi’s final bequest was for the Association to complete his long-standing dream of establishing the International Institute of Higher Buddhist Studies of Paris, for which purpose he had already acquired a plot of land in the Paris suburb of Vitry-sur-Seine. Thus, upon assuming the leadership of the Association at the age of 71, Master set about raising funds for fulfilling his teacher’s last bequest. Due to his expertise and hard work, in 2010 the World Linh Son Oriental University of Paris received permission from the French government to begin recruiting students, and classes. 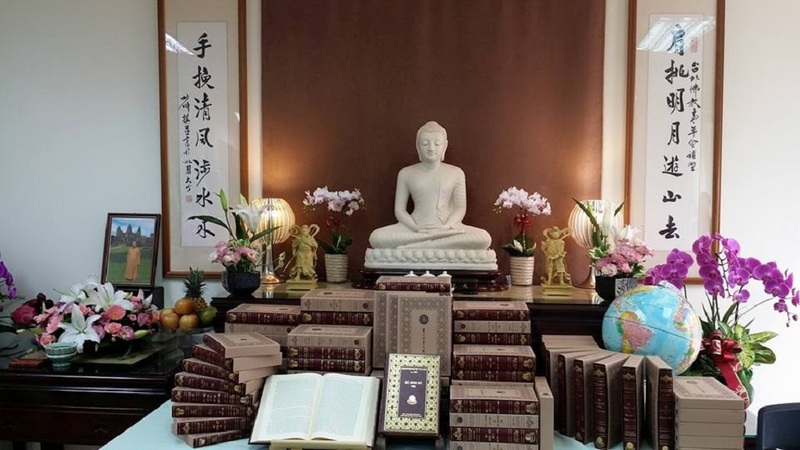 Venerable Kwang Ching, “An Extraordinary Achievement: Master Thich Tinh Hanh’s Vietnamese Translation of the Chinese Tripitaka,” Lingshan Modern Buddhism Bimonthly, Vol. 316, 2nd edition (September 2010).